Last year, when I started FoodTruckr.com for Niche Site Duel 2.0, the research told me that it was a completely viable market. 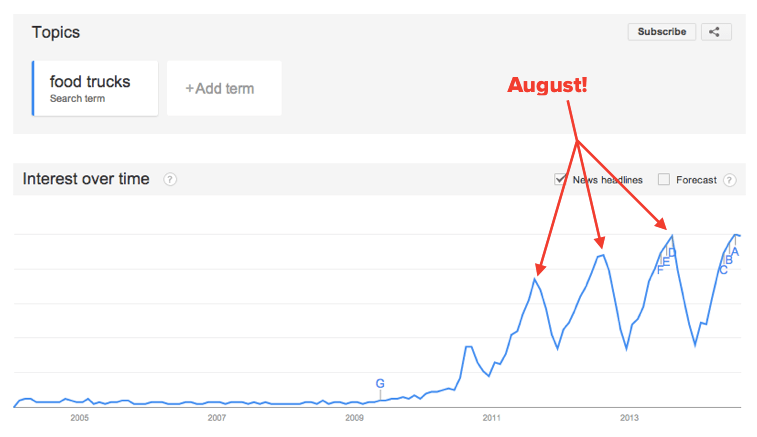 Beyond the keyword research data, it’s obvious that we can all feel this trend right now, and I wanted to see if I could capitalize on it. Because the industry is so new, it still feels a little like the wild wild west. Several cities (and counties) around the U.S. are still trying to figure out how to regulate mobile food in their city, and most are learning as they go. Because of this, there isn’t that much solid information online about how to get started – and that’s the void I wanted FoodTruckr.com to fill. Of course, I’m not an owner of a food truck myself, but I do have experience getting in front of an audience. If I could combine that with the proper research and drive to figure it all out, I knew the site could do very well. Since launching the site in August of 2013, the site has grown as the industry leading online resource on the topic of starting and running a food truck. It’s not quite to the point where everyone in the industry knows and talks about the site (yet), but several SPI fans have actually told me they brought up FoodTruckr.com when ordering from a local food truck and many of them have heard of the site before. Beyond that, the site has been ranking extremely high for very relevant keywords over the past few months, and the traffic has been reflecting that, with a record-breaking 25,802 unique visits in July – 77.58% coming directly from Google. What Happens When People Visit the Site? Note: Clicky’s definition of a ‘bounce’ is, in my opinion, the best. They define a bounce as someone who has visited your site and leaves without clicking on another page within 30 seconds. After 30 seconds, it can be safe to assume that there was at least some sort of mild engagement on the site. I’m super pleased with the results of FoodTruckr. In terms of bounce rate, 17% is amazing. 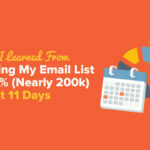 My other niche sites average about 22-25%, and The Smart Passive Income Blog averages 19%. 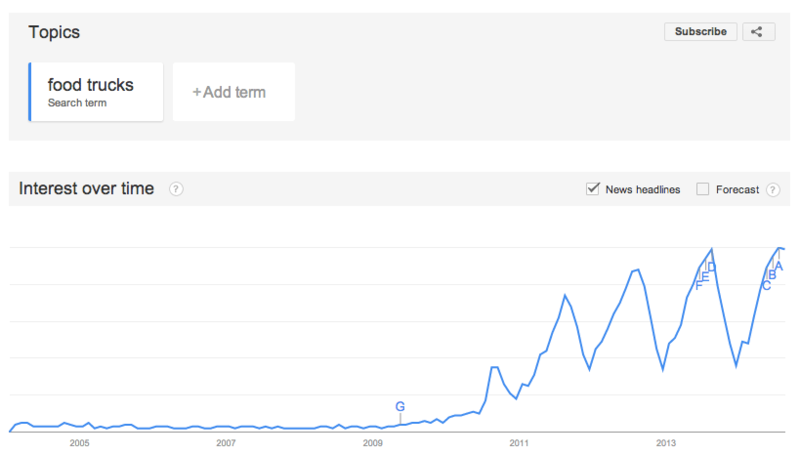 A lot of the “stickiness” has to do with the content on the site in relation to how people are finding it. Most people, like I said, are finding very specific information on Google after a search, and because the content is there for them when they get there, they read. You should begin to worry if most people find your site and then leave within the first 30 seconds. We work so hard to get people on our site, but if people are leaving right away then what’s the point? Relevance plays a huge role, but I think the design and ease of use is another. When the site was put together last year, I really wanted to make sure it was welcoming to new visitors, and I’m happy to see after a year later that that seems to be the case. FoodTruckr’s average time on the site is 5 minutes and 39 seconds. Again, that’s a good signal that people are actually taking the time to read the content on the site. SmartPassiveIncome.com has an average of 6 minutes and 51 seconds, while on the other side of the spectrum, SecurityGuardTrainingHQ.com from Niche Site Duel 1.0 has an average time of 3 minutes and 45 seconds. The reason that FoodTruckr and SPI keep people longer is because the purpose isn’t for people to get in and get out, like with SGTHQ. With SGTHQ, I want people to get the information they need (which is much more condensed), but also click on relevant ads on the page, which takes them away from the site. With FoodTruckr and SPI, the purpose is to keep them on the site as long as possible, and then collect their email address – or at least imprint on their mind that the site is a top resource related to something they’re interested in. And finally, what else are our visitors doing beyond just landing on our website? Are they clicking on anything else within the site and exploring the resource you’ve built? A great way to measure usability is to see how many actions each visitor is taking. FoodTruckr’s numbers show that each visitor is taking 1.9 actions per visit – so just about two, which is decent, although should be much higher in my opinion. SGTHQ’s actions per visitor is actually higher at 2.2, and SPI averages around 2.4. An “action” (again, according to Clicky’s tracking) is a pageview, a download, a media play (like podcast or YouTube video) and clicks on outbound links. How easy is it for people to navigate around the site? Wayfinding is extremely important online. Make it difficult to find new stuff, and no one will find it. You have to make it so easy that they almost don’t even have to think in order to keep going through your site. How many options are there on each page? There is such thing as too many options, but I see far too many people online who don’t think about the reader’s experience. For example, when a person gets to the end of a blog post, what else can they do? When they get to your thank you page after signing up for an email list, is that a dead-end, or a place where more calls to actions and clickable links exist? Think about not only who your audience is, but exactly what their journey is like through your site. FoodTruckr could focus a little more on this. A sidebar tool similar to what you see here on SPI when you scroll down could definitely help. Are you providing calls to actions? Telling your audience to click on certain items, to watch videos or listen to podcast episodes you have is important. There’s no harm in politely asking, especially if you’ve already dropped some knowledge bombs in your content and your audience has already finished enjoying your content. If they made it to the end, they are likely ready for more. Again, FoodTruckr can do a better job here as well. When I started both GreenExamAcademy.com (my first business), and even SmartPassiveIncome.com, I did not make building an email list a priority. 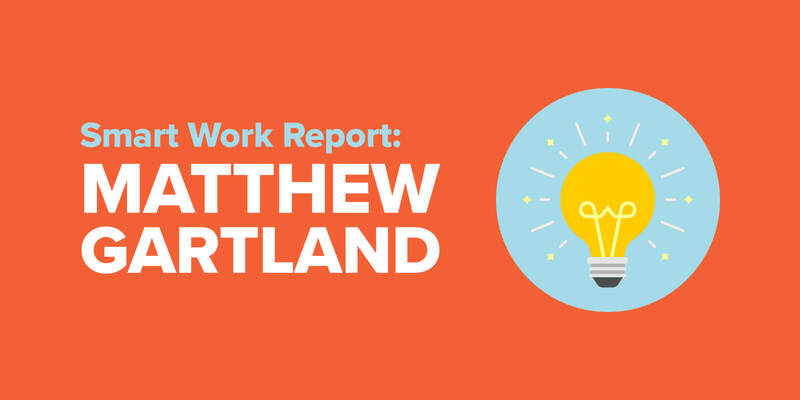 I missed out on so many opportunities to send emails to potential customers, existing customers, and build a deeper rapport with my audience because I didn’t think it was worth it. Well, I learned my lesson, and when FoodTruckr launched (and actually, even before it launched during the pre-launch phase), I had started building an email list. By the time of the launch after the month long “coming soon” phase, we had about 200 emails collected. Now, a year later, we have 3,365 emails in our system, and it’s definitely utilized. It helps drive a lot of traffic back to the site in terms of sharing new content, and providing exclusive content as well. 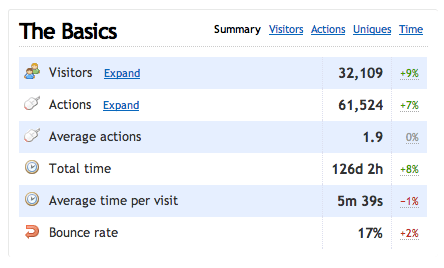 I’m very happy with this, but expect the numbers, like with the traffic, to exponentially grow over time. In my last few income reports, you may have seen FoodTruckr on the list of income sources. 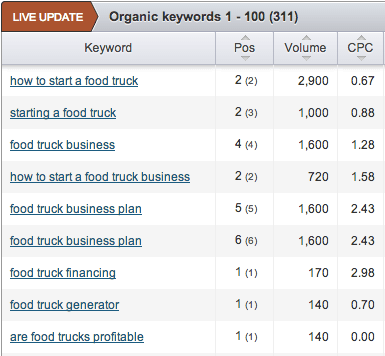 Yep – FoodTruckr is now making money, however it’s only thanks to a few experimental Google Adsense ads on the site. An extra $80 to $150 has been coming in each month, which is pretty cool. In fact, when I saw the first dollar come in, as mentioned in this post, I was quite ecstatic. Even though it was just a few dollars, to know that I had built a new site and it was making money felt real good. With the traffic numbers and the engagement the site could do so much better, and I’m confident that it will once new income streams fall into place. 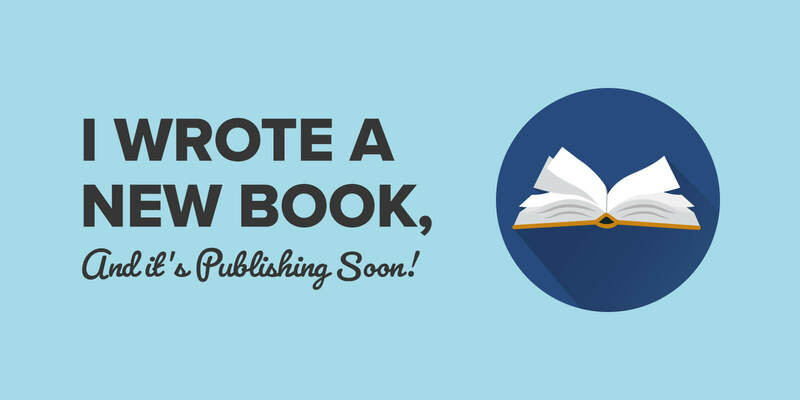 That’s why I’m excited for next week, when the first ever product for FoodTruckr comes out – a book that my team and I have been putting together that will be sold directly on the site at various packaging and pricing levels. 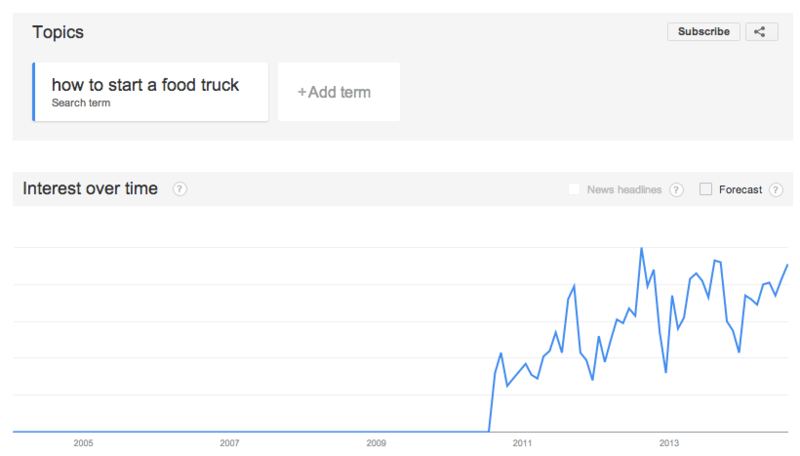 And here’s a graph for “How to Start a Food Truck” as well, which follows a similar trend! I can’t wait to get into detail about how this book was put together, and also how the launch goes next week, but I just wanted to share that things are moving along and I continue to push forward. Although the news about FoodTruckr and the Niche Site Duel has been quiet lately, things have always been moving alog on the backend, and it’ll be fun after the book launches to talk about the launch process, and further marketing efforts down the road to sell the book even more. Additionally, there are several other business opportunities and ways to serve this audience that FoodTruckr is totally setup for. The book was the one that made the most sense to start out with, but beyond that, I can’t wait to dive in and experiment with even more. I’ll definitely be sharing all of it along the way. More updates coming soon. Cheers, and wish us luck!